Rick founded Old Peak. He has 25 years’ experience providing financial advice. He is a CERTIFIED FINANCIAL PLANNER™. He previously spent 15 years advising companies and governments throughout Asia, with Merrill Lynch, where he led teams that completed $50 billion of transactions. Rick has degrees from Princeton (AB) and Harvard Business School (MBA). He volunteers in area schools, teaching financial literacy (see Giving Back). Rick and his wife have two adult children and live in the North Carolina research triangle. Molly has over a decade of experience as a financial advisor. She started her career with Fidelity Investments. She is a CERTIFIED FINANCIAL PLANNER™. She has a bachelor’s degree from NC State and a master’s in financial planning and taxation. In 2014, she spent six months with a non-profit in Tanzania, teaching English, business, and vocational skills to women. As a Durham Jaycees member, she engages in the community through a variety of local non-profit services. Molly, her husband, and their daughter live in Traverse City, MI. Kent has 25 years’ experience working with many of the world’s largest institutional investors. Kent is a CERTIFIED FINANCIAL PLANNER™. He holds the Chartered Financial Analyst (CFA®) designation, an MBA from McGill University and a BA in economics from the University of Western Ontario. Kent has taught Investments and Portfolio Management courses for McGill University and conducted CFA preparation courses for the Los Angeles Society of Financial Analysts. He and his wife live in Chapel Hill. He is a member of the East Chapel Hill Rotary Club and enjoys golfing (and almost any outdoor activity). 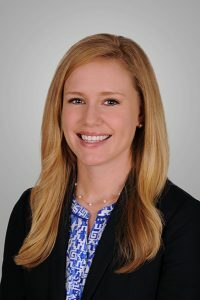 Katie Villegas joined Old Peak in 2017. She earned a certificate in financial planning through Duke University, has passed the CFP® exam and is a candidate for CFP® certification. Katie is particularly interested in sustainable investing practices and provides expertise to clients interested in aligning their investments with their values. She has a bachelor’s degree from Westmont College in Santa Barbara, CA, and a master’s in international relations from the American Graduate School in Paris. She volunteers with the VITA program, providing free tax assistance, and is on the board of Student Action with Farmworkers, a local non-profit. She and her husband live in Durham. Donna joined Old Peak in 2015. She spent the two prior years teaching 5th grade math (1st year) and high school Geometry and Algebra II (2nd year) as a Teach for America Corps Member in Leflore County, MS. Donna is currently developing a non-profit organization devoted to educational equity and aimed at high school age students. She has a bachelor’s degree from the University of North Carolina at Chapel Hill, has three children, and lives in Durham, NC.